Svaneti, a rugged highland region of northwestern Georgia, lies along one of the few ancient transit routes between the South and North Caucasus and thus links the worlds of the Middle East and the steppe of Eastern Europe. It is also home to speakers of a language not closely related to any other. Svan and Georgian, its southern neighbor, both belong to the Kartvelian family of languages, although one is not mutually intelligible with the other. Although Svans are mentioned several times in the works of Classical authors such as Herodotus and Strabo, the deeper history of this distinctive population has remained mysterious. The aim of our current research is to characterize genetic lineages in Svans and eventually all Georgians to ascertain the phylogeographic origins of the multiple founding populations and the timing of their settlements in the Caucasus. We began with Svans because their combined geographic remoteness and linguistic distinctiveness allowed us to investigate whether genetic diversity in the highland South Caucasus was shaped primarily by linguistic affiliation or geographic ancestry. Through this approach, we have begun to demonstrate how the historical landscape has been shaped by both genetic and cultural processes. To characterize ancestrally informative genetic markers in Svans, we first traveled to Svaneti and collected DNA samples from 184 Svan individuals from 13 village districts and townlets located throughout the region. All participants signed a consent form and filled out a Georgian-language genealogical questionnaire so that we could account for the presence of siblings and cousins living in different villages and better understand surname and clan histories in the region. In the laboratory, we analyzed mtDNA diversity through sequencing and SNP genotyping, and for males, we analyzed Y-chromosome diversity through SNP and STR genotyping. We compared the resulting data to those from populations living in the Caucasus and the Middle East. Based on previous studies of Georgians and North Caucasus peoples, we had initially anticipated moderately increased haplogroup diversity among males and moderately decreased haplogroup diversity among females. To our surprise, we observed significant heterogeneity in Svan mtDNA lineages, with numerous haplogroups, including U1-U5, U7, H, K, R2, W6, and X2 being present. In addition, two lineages originating in East Eurasia (C, D) also appeared in these populations. By contrast, ~78% of Svan males belonged to a single haplogroup, G2a, which is not uncommon in the South Caucasus. However, within this single haplogroup, there was extraordinarily high haplotype diversity, with more than 70% of the G2a males bearing distinct lineages. This suggests either or both a great antiquity for this lineage in the region or considerable interregional gene flow in the South Caucasus. The other four haplogroups found in Svans (I2, J2a, N, R1a) attest to a complex set of geographic sources and pre- and proto-historic settlement epochs shaping the ethnogenesis of Svans. None of the Georgian G2a Y-STR haplotypes (those collected by us outside Svaneti exactly matched those appearing in Svan men. Thus, Svans were genetically distinctive from Georgians on the basis of haplogroup composition and Y-STR haplotype diversity. The mtDNA data yielded no evidence of either linguistic or geographic structuring within the Caucasus. 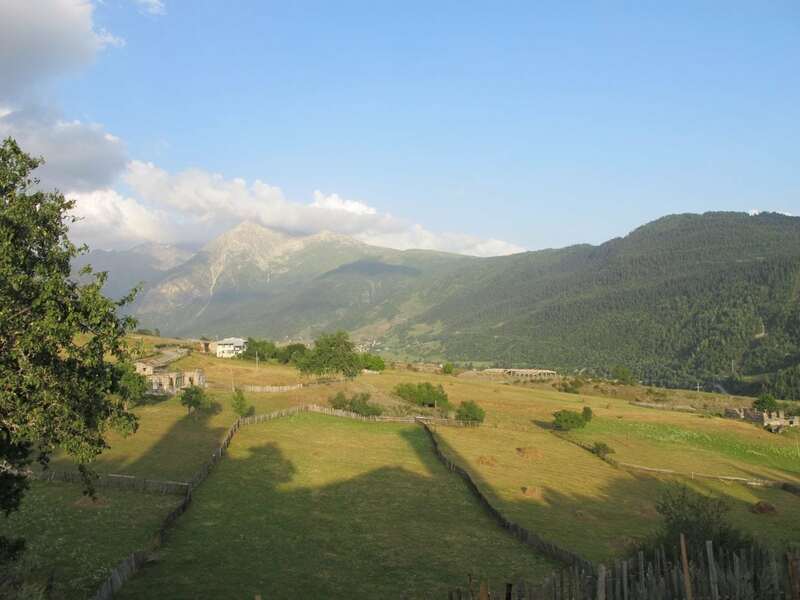 The Y-chromosome data, on the other hand, showed that Svans clustered closely with other Caucasus highland populations, including those speaking non-Kartvelian languages, such as the neighboring Abkhaz and Ossetians. This pattern of deep common ancestry between populations of different language families suggests that, while both geography and culture have subtly influenced patterns of haplogroup frequencies in the South Caucasus highlands, geography is the more determinative force. Furthermore, our analysis indicated that the haplogroup frequencies observed in these populations were established well before the emergence of any of the currently spoken languages or ethnic identities, and are not the result of recent admixture or gene flow. It also points to a complex set of geographic sources and settlement phases for the Caucasus highlands—ones which we are only now beginning to uncover. 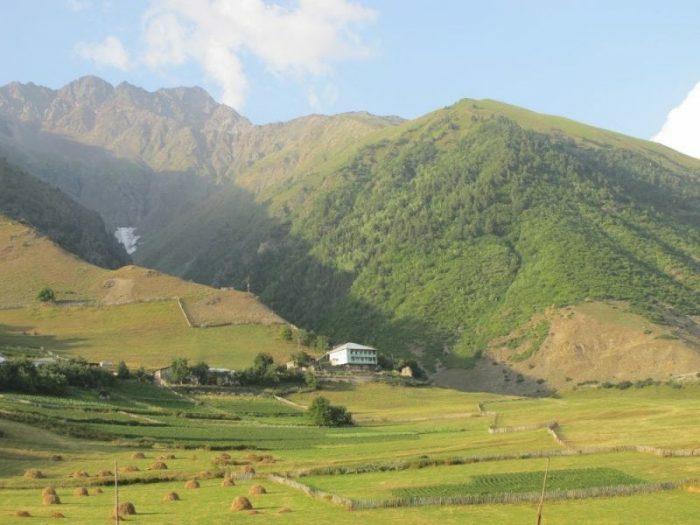 This study, Genetic diversity in Svaneti and its implications for the human settlement of the Highland Caucasus, was recently published in the American Journal of Physical Anthropology. As a member of the Laboratory of Molecular Anthropology, I am at work on a large-scale genomic survey of Georgia (Caucasus), and am currently engaged in collecting human DNA samples from individuals in western Georgia (Samegrelo, Svaneti, Guria, Adjara, Samtskhe-Javakheti, Imereti), which we use for analysis of mtDNA, Y-chromosome, and autosomal variation. My primary interest in this work is to provide a clearer diachronic perspective on the population histories of this complex region, specifically the impact of Upper Paleolithic and Neolithic settlers in the region, as well as the interactions between Caucasus populations and those of Anatolia, Iran, and the Mediterranean region. To date, I have, in collaboration with colleagues from UPenn and Georgian universities, collected nearly 700 samples from the combined region of Samegrelo-Zemo Svaneti. We have published this data in the American Journal of Physical Anthropology (Yardumian et al. 2017) and in the Penn Museum's in-house magazine, Expedition (59:1, 2017). I am a Professor in the Department of Anthropology, and a Consulting Curator in the Physical Anthropology and American Sections of the University of Pennsylvania Museum of Archeology and Anthropology. I am also the Director of the North American Regional Center of the Genographic Project, and Head of the Laboratory of Molecular Anthropology at the University of Pennsylvania. For the past thirty years, I have investigated the genetic prehistory of Asia and the Americas through studies of mtDNA, Y-chromosome and autosomal DNA variationin Asian, Siberian and Native American populations. Our current projects include studies of genetic diversity in indigenous populations of Canada, the United States, Mexico and the Caribbean. My research group is also investigating the population history of Georgia (Caucasus), Pakistan and Kazakhstan through our collaborative genetic studies in those countries.